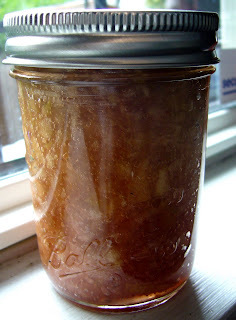 As you may have guessed from the past couple of posts, I have recently been on a canning binge. And as promised, here are a few photos of the results. 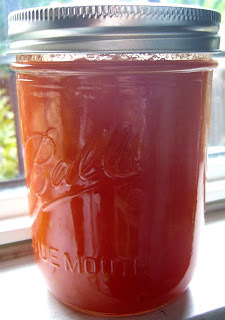 As a result of the canning class with Eugenia Bone, I am now obsessed with preserving tomatoes. I eat a ridiculous amount of crushed tomato, especially in the winter when I just want to start a stew cooking while I have a hot shower. But mostly I like to eat a little pasta with a can of tomatoes dumped on top with tons of garlic and parsley. The jar on the right is how freshly canned tomatoes sometimes look just out of the water bath. 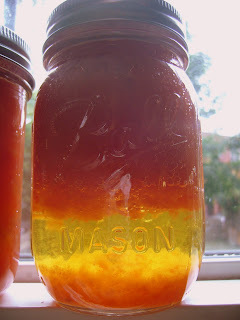 The clear yellow liquid is the pectin separating which is apparently quite normal. Just turn the jar upside down a few times and you will get something like what you see on the left. This is a little pot of tomato concentrate. I have a love/hate relationship with tomato paste. I will eat it directly out of the tube, squeezing it straight into my mouth. But I hate how sometimes tomato paste can taste a little metallic, which can usually be solved by cooking it a little first but which isn't always practical, especially when I am just eating it out of hand. 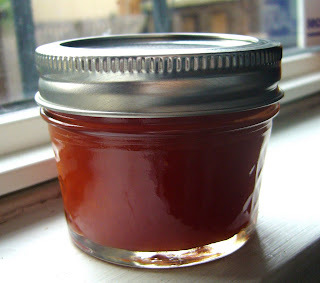 I call this tomato concentrate because it is a little looser than paste, but thicker than ketchup and it is just tomatoes, no spices. 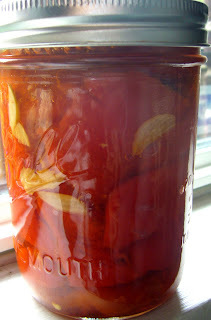 On the left a jar of pickled cauliflower and on the right, roasted red peppers. 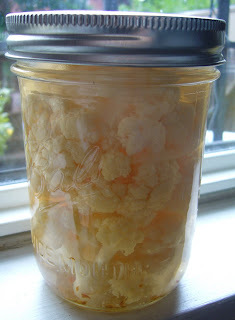 I am really excited for the cauliflower which needs to sit for a little longer. Both red peppers and cauliflower are in season right now. The red peppers were selling for $1 per pound and I think it was about $1.50 for a big head of perfect cauliflower. Apples two ways. On the left are spiced apples, on the right crab apple jelly. 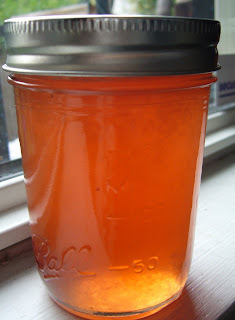 I made the crab apple jelly from crab apples off the tree I planted out back. The tree was covered in fruit so I figured why not. The jelly came out cloudy because I pushed the fruit through the cheesecloth a little more than I should have. Eh, I was warned so I can only blame myself. 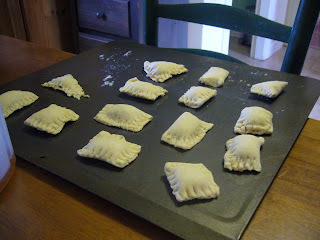 Which we made from rolling out Pillsbury Crescent Roll dough and re-shaping it. Just pinch the edges together with a fork and sprinkle with sugar before baking. Delicious! 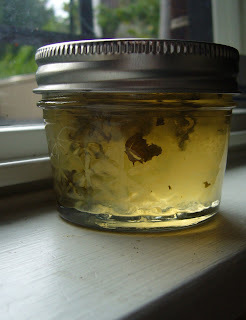 I also made mint jelly from some leftover Ginger Gold apples and a few stems of mint from the backyard. I am totally not at all sure how this is going to turn out, possibly it is going to be way too sweet, but we'll see what happens around Easter. 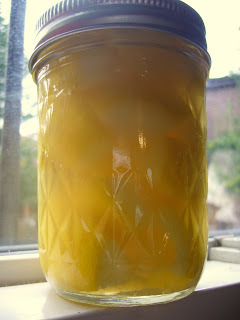 Lemons were 5 for a dollar the other day so I bought ten and made 2 jars of preserved lemons - one large and one small. I can't wait to use them in a dish with chicken and olives. And now that I have acquired a pressure canner I will try my hand at more substantial foods. Like baked beans. Or chicken soup. I just need to get a couple of parts for the canner cover.